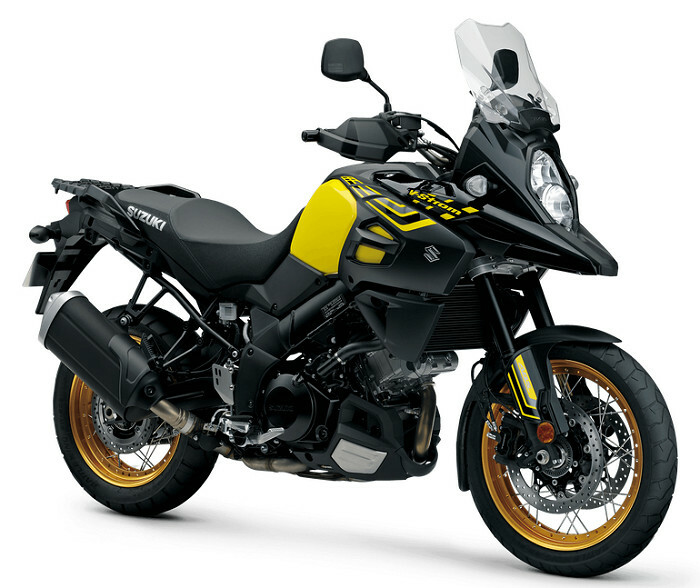 Came accross new vstrom 1000 xt pics from european dealers..dammm I thinks the color scheme looks awesome particularly the black one. Never did lke an all black Strom ( even tho I owned one ) but that yellow is sweet. That black scheme took my memory back to the Yamaha Midnight Maxim. My 04 We was black. Had the little blue sparkly points in the right light. It was beautiful, man. Now it's not. But like you I really like the yellow bikes. My Kawasaki ZR7S was yellow, I painted a BMW yellow to match the helmet I bought and my current G650GS is yellow. I had the Bumble Bee R100GS BMW too. Some color schemes really make a bike! Would be nice to have black and bronze (not just the wheels), it's a nice combo. I'm not big on yellow, i don't dislike yellow, but i don't think i'd buy one today. Those gold wheels gots to go. Rolex and basshead like this.